Many web hosting companies offer "shared" web hosting services - that's when multiple customer's web sites run independently of each other, but all reside on the same server and all share the same physical memory & processing power, etc. As such, these are usually one of the cheapest "entry level" web hosting options that hosting companies offer. 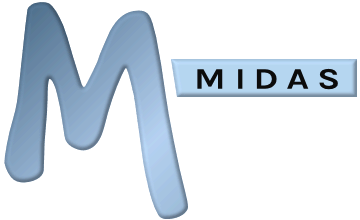 As long as your "shared" web hosting package meets our server requirements, you should be able to install and run MIDAS. However, many hosting providers do impose quite strict limitations on the amount of server resources you're permitted to use on a "shared" server. For example, it's not uncommon for some hosting companies to limit the maximum number of concurrent MySQL connections you're allowed to make to a database, or even suspend your shared hosting account if you regularly use what your hosting provider deems as being "excessive" server resources such as CPU or Memory. Many of our MIDAS customers are able to run our scheduling application on their "shared" hosting account without issue, but if you're considering running MIDAS on a "shared hosting" account, it's always worth checking what restrictions are imposed by your hosting provider first. You may ultimately find that a VPS, or a dedicated server option becomes a more suitable and reliable choice if you anticipate high usage of your MIDAS.